Posted by Admin | February 2, 2019 | Management, Strategy. Death Trader: Cold War Free Download PC Game Cracked in Direct Link and Torrent. 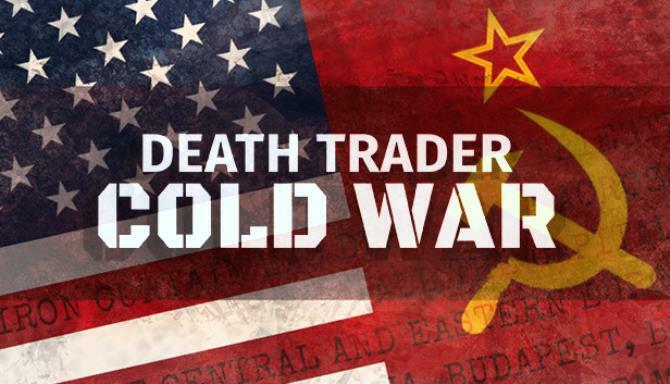 Death Trader: Cold War – Find out what it’s like to be a arms dealer. Travel back into the 1960s and establish your shady international business right in the midst of the Cold War! 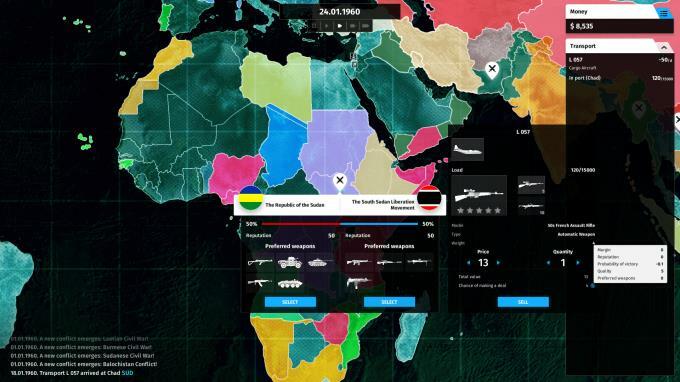 Death Trader: Cold War is a strategy game about the controversial life of a arms dealer. You begin on January 1, 1960, with a brand new cargo airplane, which, apparently, was a present from Santa Claus. How’d you use such an invaluable asset in a profitable manner? Well, here’s the way: just buy weapons from the military and sell it to rebels and insurgents! Obvious, isn’t it? 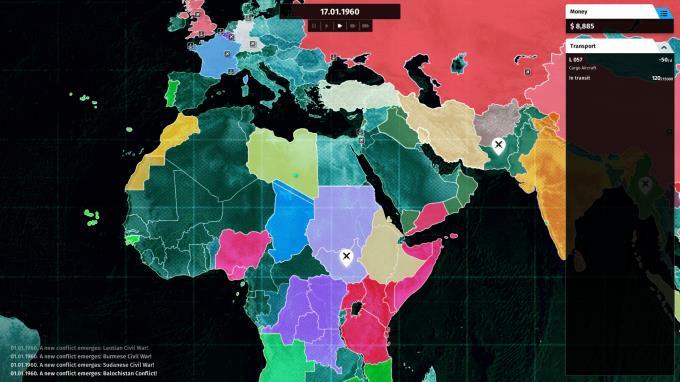 Dynamic map: territories change ownership not only with the current of history, but also depending on your direct actions.